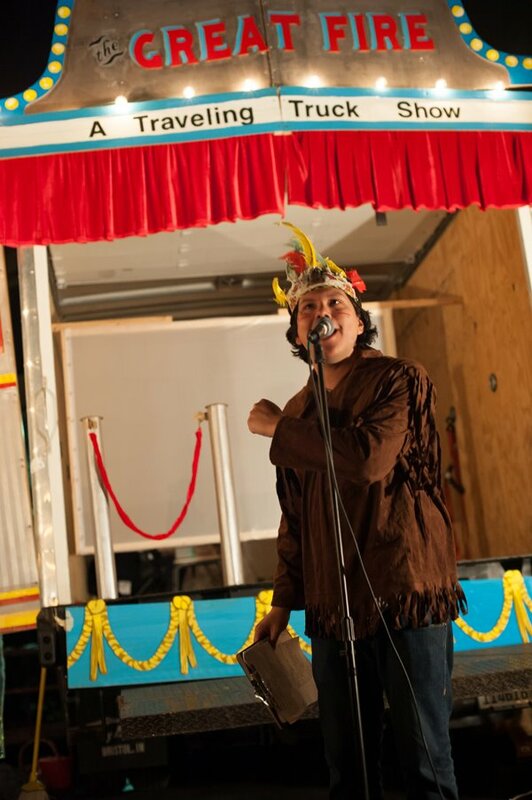 Remembering the Truck Show…stay tuned for what’s next. One year and one month ago, we were in the midst of touring our Truck Show. With some distance from the shows, and in transition for what is next, I wanted to use this site to archive the project, as a keeping place for all the details, images, credits, research, etc. Peruse the drop-down menus at top or follow the narrative (with links) below for a behind-the-steering-wheel view of this project. Meet WHO was involved in making this thing. Meet the GUEST PERFORMERS who joined us on the tour. Explore our RESEARCH + INSPIRATION for the show. See images of the MAKING of this show: from the beginning stages of conceptualization to practice and site set-up. Check out the custom ANIMATION, MUSIC, + BACKDROPS we created. View our PR materials + some of the PRESS attention the project received. Well…Chris and I are in the initial planning stages for a slightly smaller-scale public project that will debut this summer. To stay up on that news, you can “like” the Traveling Truck Show FB page, as we’ll make announcements there. 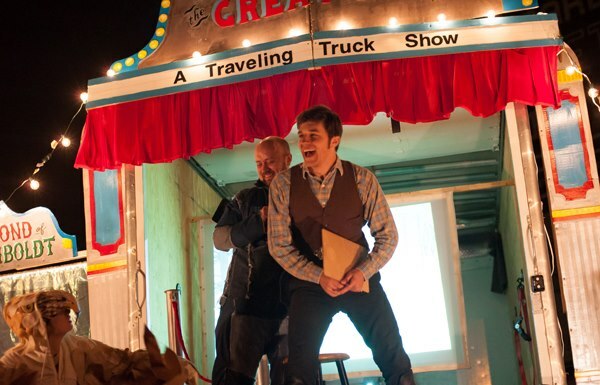 The Traveling Truck Show project was on TV last night! ABC7’s 190North filmed a quick excerpt and interviewed a few of us when we were in Pilsen. Check it out! What do an Onion, a Hawk, and a Thief have in common? All photos by Brooke Herbert Hayes. 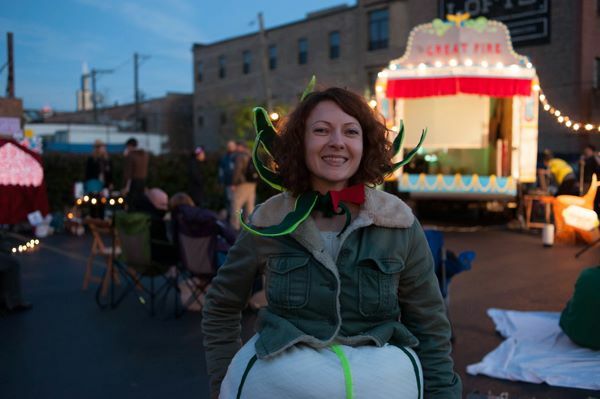 Don’t miss the Traveling Truck Show’s final stop in Pilsen tomorrow beginning at 4pm. We are joining forces with the Growing Station Community Garden for their Annual Harvest Fest. In addition to the show, there will be a costume contest, hot apple cider, and a few additional activities for the kids and garden community. Everyone is welcome! Be sure to LAYER UP! Socks on socks and pants on pants! And a costume on top of everything. It’s going to be a bit chilly but SUNNY at least. 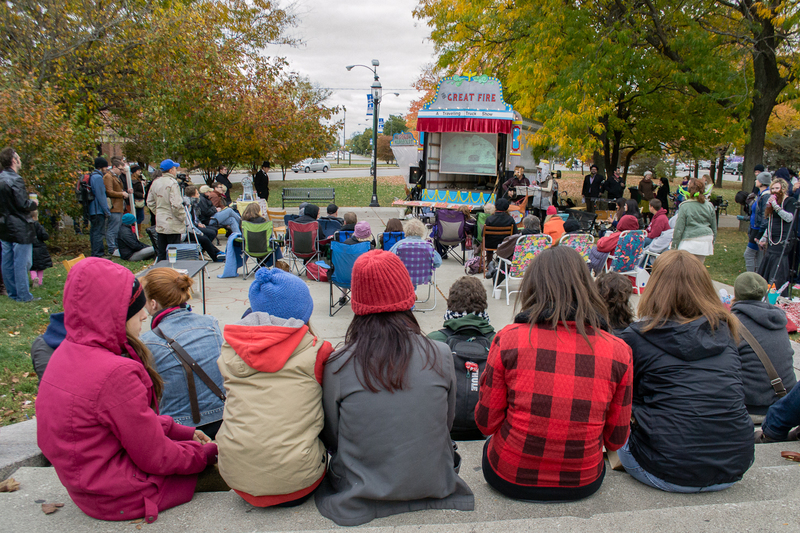 Bring a chair or blanket–to sit on or cuddle up under–and a couple bucks for popcorn or a Tarot reading. 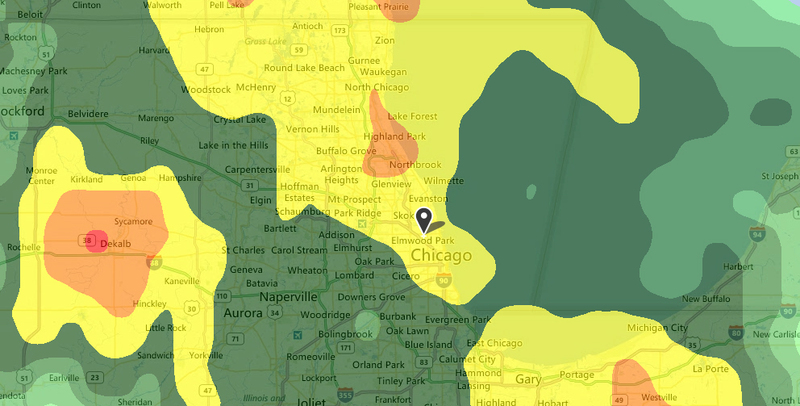 West Town here we come! 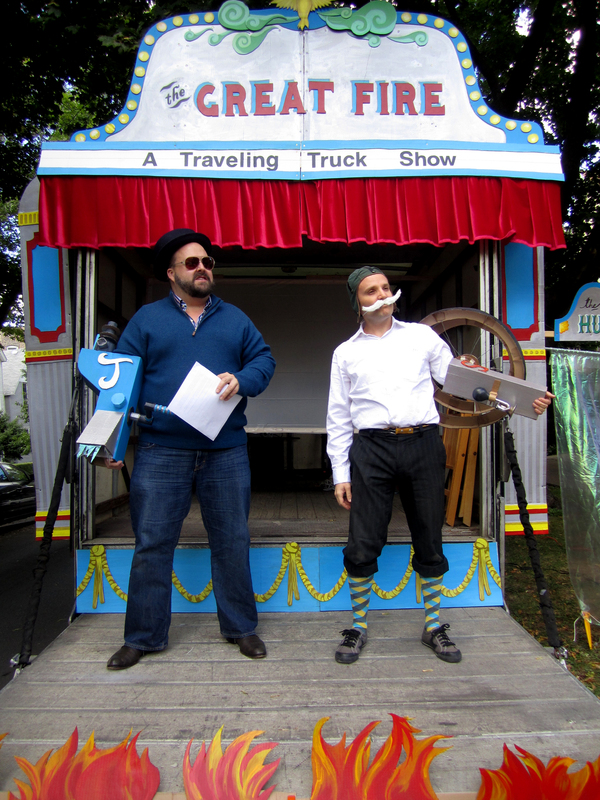 If you missed the Logan Square show (pictured), you have two more chances to catch the Traveling Truck Show. THIS SATURDAY NIGHT we’ll be in West Town! Come “tailgate” with us beginning at 6pm. You can mingle with the Bee-Bearded Lady, watch the curious Man in the Bag begin his experiment, and admire the post-industrial landscape. The Stage-Show will start at 7pm. 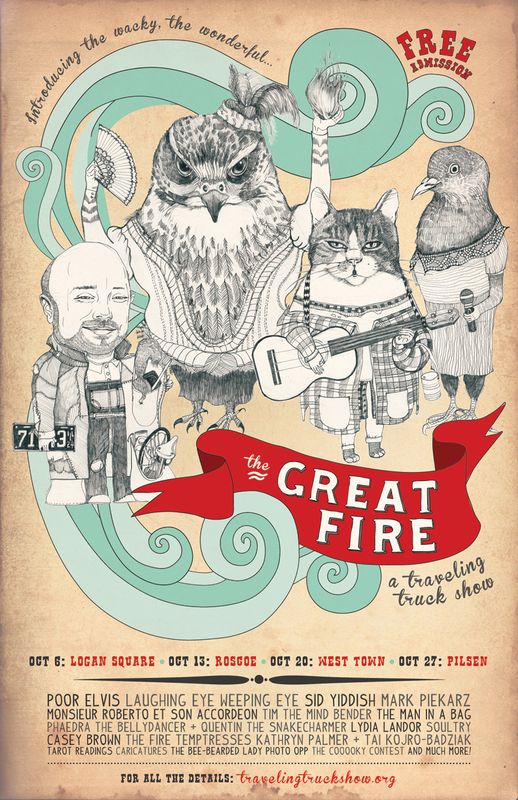 It’s 1 part storytelling, 2 parts variety show, with lots of music and comedy! Be sure to bundle up and bring chairs and blankets. Grab a buddy or a date–this event is best shared with others. For those that were coming in support of the Clark Park Fundraiser, you will get another opportunity…so stay tuned. An exciting Saturday Adventure awaits! Check out the Chicago Architecture Foundation’s Open House Chicago, for FREE access to all sorts of historical and architectural treasures. It’s this weekend ONLY! And after gallivanting around the city, come settle in for a FREE history-curious variety show at the Clark Park in Roscoe Village. 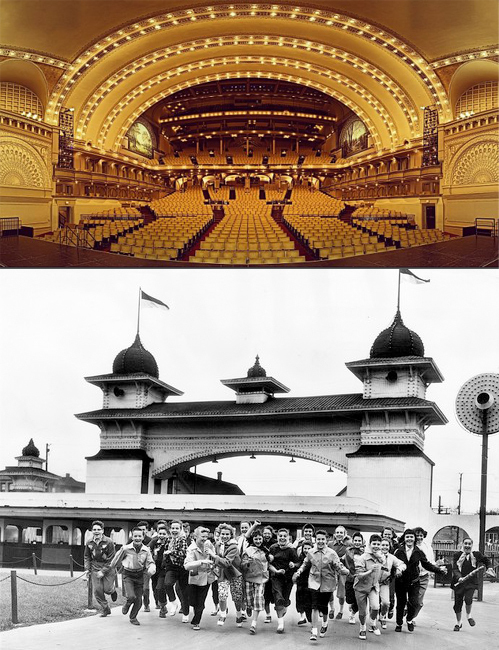 In addition to paying homage to the Riverview Amusement Park (closed in 1968), the show includes music, comedy, and eccentric performing arts acts. The Clark Park Advisory Council will be selling concessions and warm beverages. Bring chairs and blankets to watch the show in ultimate comfort. Show details here. 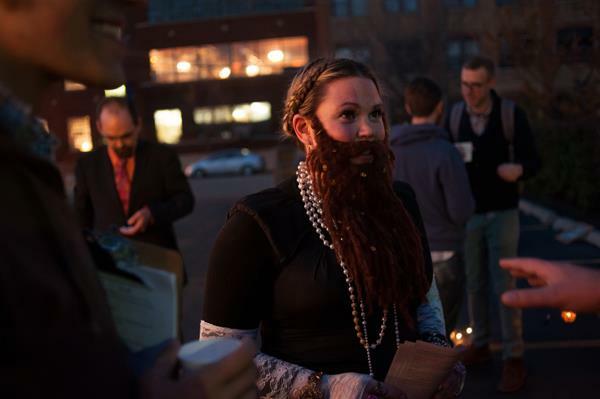 You have a date with the Bee-Bearded Lady! 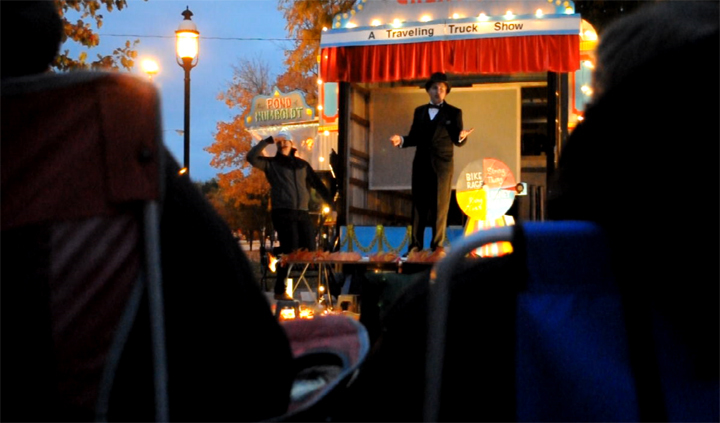 THIS SATURDAY, Oct. 6th, we will land on the Logan Square monument as our first stop with the Traveling Truck Show! Tom Skillet says it’s going to be a little chilly, so bundle up and bring blankets. Feel free to bring snacks, too. Picnic on the monument, while you watch the show! The Sideshows will be ready for audiences at 4pm. Get your photo taken with the Bee-Bearded Lady, watch the Man in the Bag begin his experiment, and enjoy Monsieur Roberto’s accordion-playing wanderings. 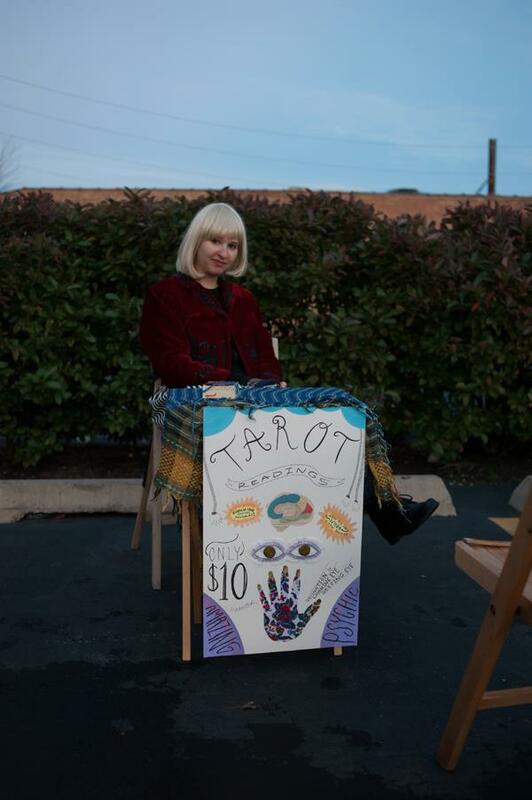 You can get a Tarot Reading from a custom-illustrated deck of cards and sample the snow cone flavors of Jo Snow. We have an amazing caricature artist, too! Then stake out your spot on the stairs or grass! With his ESP and mind-games, Tim the Mind Bender will get things started around 4:40pm on the truck-stage. 5pm–the BIG SHOW starts! It will last about 90 minutes, and you won’t want to miss a minute! What exactly is this all about? 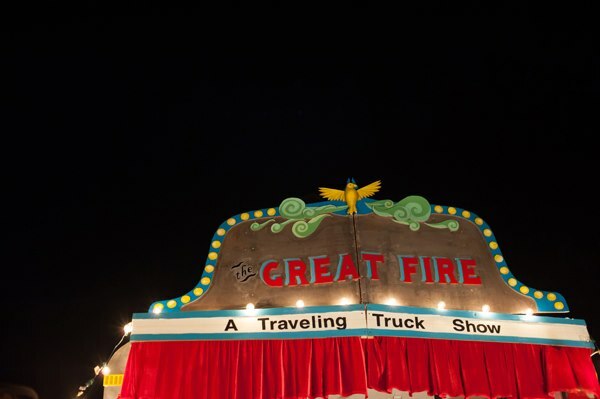 “The Great Fire: a Traveling Truck Show” is a wacky performing arts event that will tour Chicago in October with a moving truck as our pop-up stage. 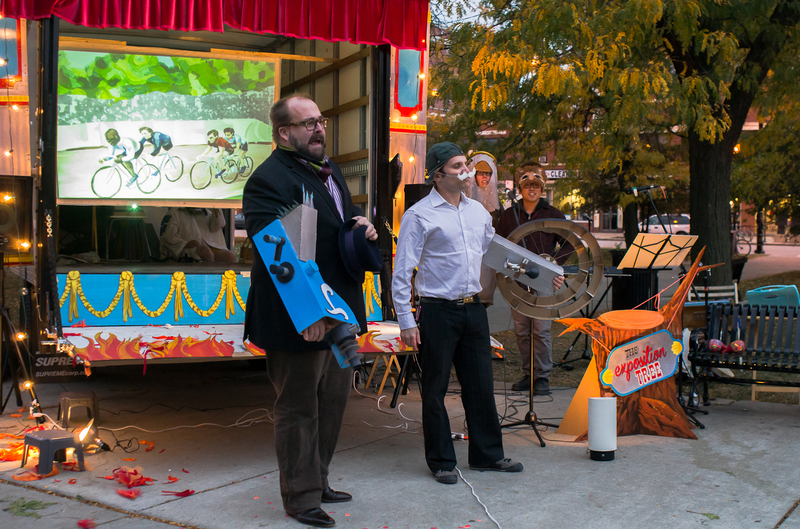 Reviving the form of early American traveling shows and referencing Chicago neighborhood histories after the Great Fire of 1871, we playfully spin a tale that engages audiences with storytelling, music, comedy, multimedia dioramas, and magic. From main characters The Hawk and Denim Dennis to guest performers Poor Elvis and a fire-breathing temptress, there will be a little something for everyone. 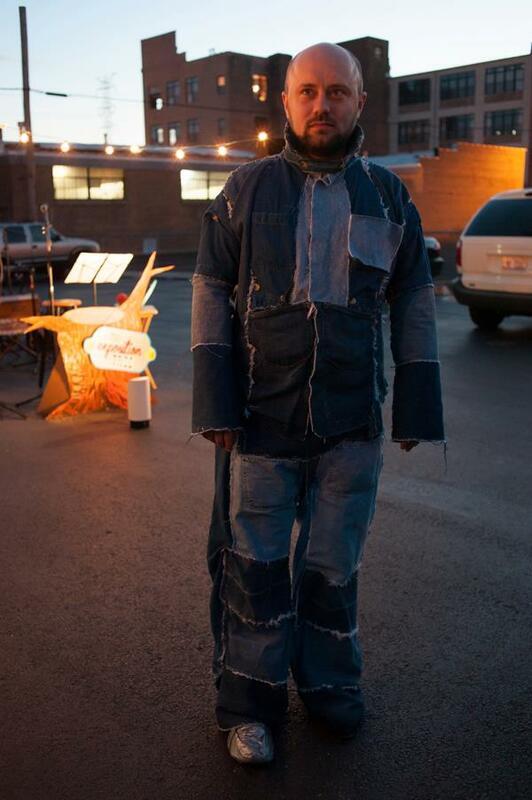 Learn more about our eclectic mix of artists and local acts here. When + Where is this happening? 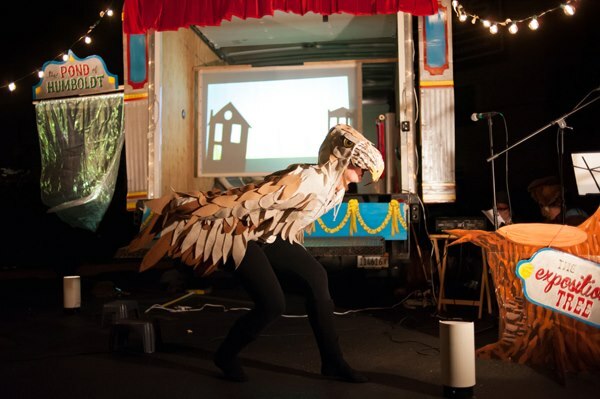 Sideshows will start an hour before the show – Come get your photo with the Bee-Bearded Lady and participate in Proud Pigeon’s “Coooooky Contest”! See the mysterious Man in a Bag, and practice your ESP with Tim the Mind Bender! The Stage-show (lasting approximately 90 minutes) – You won’t want to miss the story inspired by neighborhood historical characters and memories, or the wide-ranging talents of guest performers on the truck-stage! The show is open to everyone – All-ages and family friendly! BYO chair/blanket! – All shows are outdoors, so dress appropriately and bring something to sit on. Ruth Ackerman with her vaudeville group in the 1920s - click the image for our blog of inspiration.